The management of Homeland Security challenges has gotten substantially more challenging in the last several years. From counterterrorism, to cybersecurity, to pandemic response and the consideration of governance frameworks for Internet platforms, the White House and Department of Homeland Security are facing unprecedented challenges. The Honorable Jeh Johnson and the Honorable Lisa Monaco are two public servants with unmatched experience and expertise in managing an increasingly complex series of Twenty-First Century threats. 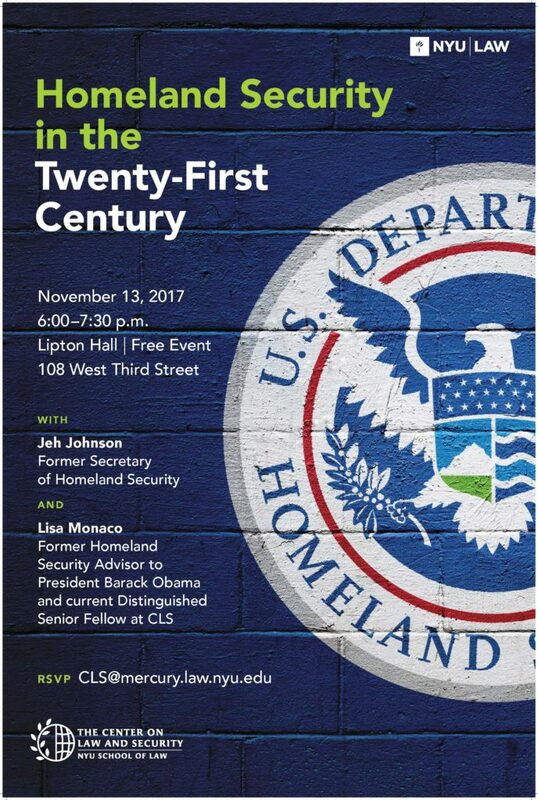 Jeh Johnson led the Department of Homeland Security from December 2013-January 2017, where he was in charge of counterterrorism, cybersecurity, immigration law enforcement, national disaster response, and the protection of the country’s critical infrastructure and leadership. Previously, he served as General Counsel of the U.S. Department of Defense and General Counsel of the U.S. Air Force. Lisa Monaco served as Assistant to the President for Homeland Security and Counterterrorism from March 2013 until the end of his presidency, advising the President on all aspects of his counterterrorism policy. Previously, she spent 15 years at the Department of Justice, largely as a career federal prosecutor. In 2011, she was confirmed as the first woman to serve as Assistant Attorney General for National Security, leading the Justice Department’s National Security Division. Lisa is now a Distinguished Senior Fellow at the Center on Law and Security.